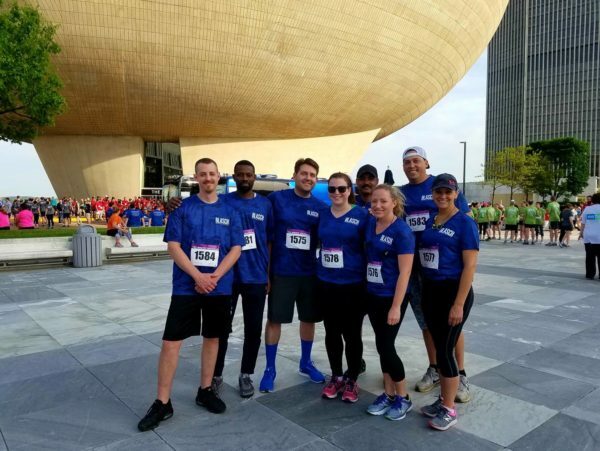 On Thursday, May 17, 2018, Blasch employees participated in the CDPHP 2018 Workforce Team Challenge in downtown Albany. The 3.5-mile race started at the Empire State Plaza and had nearly 10,000 runners and walkers. The event is sponsored by CDPHP and organized by, and serves as the major fundraiser for, the Hudson-Mohawk Road Runners Club (HMRRC). The proceeds help underwrite many of HMRRC’s activities and offerings, including college scholarships, grants, free races for members, and the Just Run® Program, which encourages grade school children to run for exercise and fun. For more information on the race, visit the CDPHP website and to view the race results.